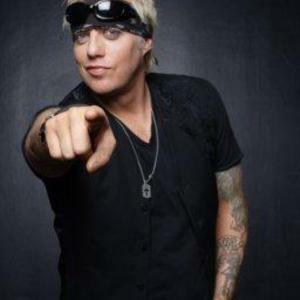 Jani Lane (b. John Oswald on February 1, 1964 in Akron Ohio, United States, died August 11, 2011 in Woodland Hills, California, United States) was the lead singer for the hard rock band Warrant from 1986 to 2004, and rejoined the band briefly in 2008. He was also the singer for the bands Saints of the Underground and Plain Jane. Lane released one solo album, "Back Down to One", in 2003. He died on August 11, 2011 in Woodland Hills, California. Lane released one solo album, "Back Down to One", in 2003. He died on August 11, 2011 in Woodland Hills, California.